Here are ten facts about Piet Mondrian, the Dutch painter. Piet Mondrian was born on 7th March 1872 in Amersfoort, the Netherlands. From a very young age, Piet Mondrian was exposed to art. His father was a qualified art instructor and his uncle was an artist. Piet Mondrian became a primary school teacher and he painted in his spare time. His early paintings were mainly landscapes, featuring fields, rivers and windmills. Mondrian moved to Paris in 1911. He was immediately influenced by the Cubist style of Picasso and Braque, and his work started to incorporate more geometric shapes, moving away from being purely naturalistic. Piet Mondrian returned to the Netherlands for the duration of the First World War. He met the artist Bart van der Leck, who only used primary colours in his paintings. Mondrian started to develop his own painting theory and style. After WW1, Mondrian returned to Paris and he began to produce the grid-based abstract paintings for which he is best known. Mondrian left Paris in 1938 to escape the inevitable advance of the Nazis. He moved to London and then to Manhattan. 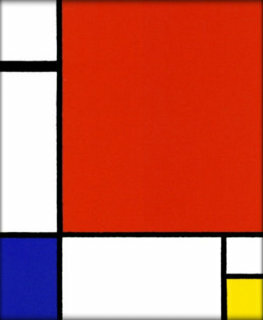 In Manhattan, Mondrian started to develop anew technique using pieces of paper tape to create small rectangles of colour. Piet Mondrian died on 1st February 1944. He had pneumonia. This really helped for my homework! Glad we could help. Thanks for letting us know. Thanks, Hattie! Glad you found it useful. Thank you! Perfect summary for 4th grade Art class in spanish! This really helped me for my art homework. GREAT WEBSITE, HELPED A LOT!!!! I know right. So helpful. Thank you for helping, such great information! This helped me with my 3rd grade biography! this helped on my hwk! this helped with my homework thanks so much😊😊.